An all-new Step 2 Step into Reading leveled reader featuring Nickelodeon's Nella the Princess Knight! 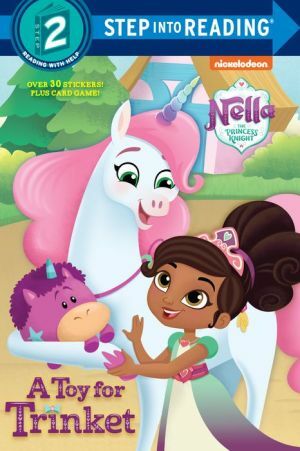 Join Nickelodeon's Nella the Princess Knight as she goes on a special quest to find Trinket the unicorn's favorite childhood toy. Boys and girls ages 4 to 6 will love this Step 2 Step into Reading leveled reader, which features more than 30 stickers and press-out cards. Step 2 readers use basic vocabulary and short sentences to tell simple stories. For children who recognize familiar words and can sound out new words with help. Nickelodeon's Nella the Princess Knight lives in a fairy-tale land filled with dragons, unicorns, and furry friends. With every new journey, Nella proves that little girls can be princesses and knights, pretty and powerful, and fabulous and fierce.